take a well-deserved break from the fighting on Hill 30 in Normandy on June 10, 1944. 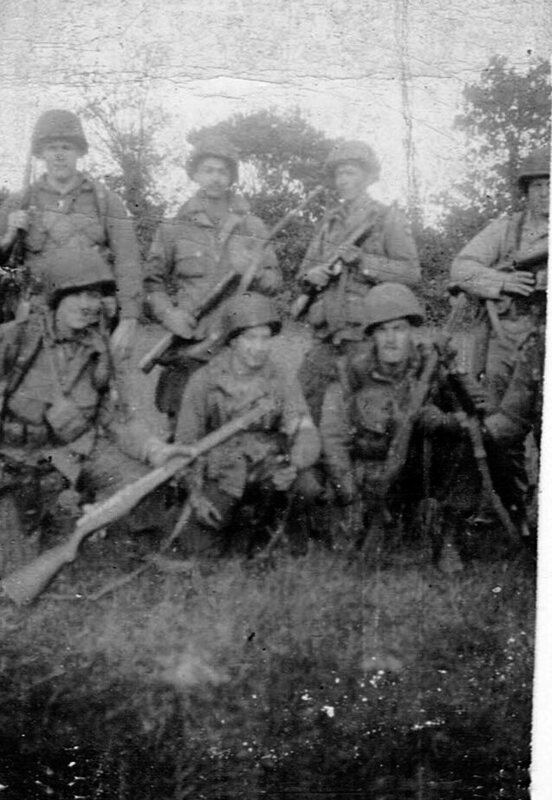 From left front are SSgt George E Christ, Jr. (Platoon Sergeant), 2/Lt Raymond J. Sanders (Platoon Leader), Cpl Emanuel O. Camacho, Jr., Pvt Ralph P. McGee, Pfc Carl Lakes (KIA, Belgium), and Pfc Sidney G. Taylor. 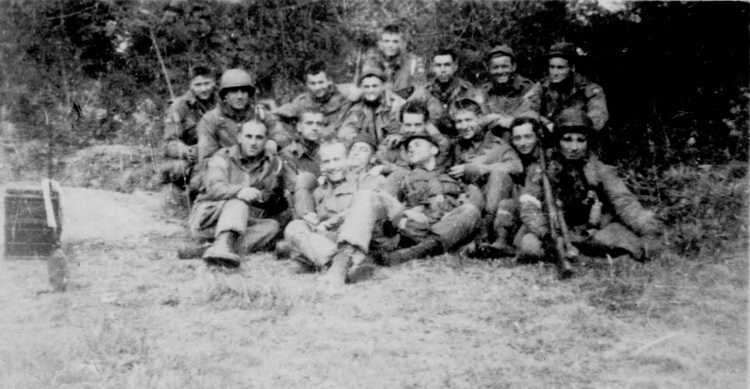 Back row, from left: Pfc Erling T. Gulbranson, Pfc David A. Giblin, Pfc Harold O. Kulju, Sgt Charles Micker (KIA, Belgium), Pfc William H. Biagioni, and trooper identified only as "Brown"
[l-r], front row: SSgt George E. Christ, Jr., Cpl Emanuel O. Camacho, Jr., 2/Lt Raymond J. Sanders, Pvt Ralph P. McGee, Pvt Robert F. Magers, Pfc Carl Lakes (KIA Belgium), Pfc Sidney G. Taylor, and French National Louis Gillot. 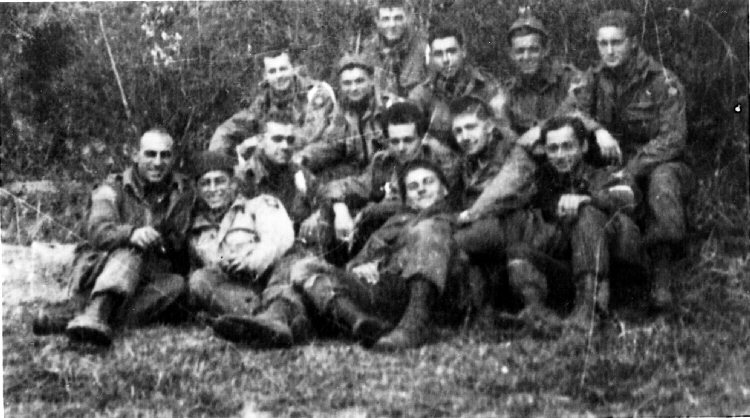 Back row: Pfc Erling T. Gulbrandson, Sgt Lloyd R. Wilkens, Pfc David A. Giblin, Pfc Nicholas Dickey, Pfc Harold O. Kulju, Sgt Charles Micker (KIA Belgium), Pfc William H. Biagioni, and "Brown". 2. The caption provided does not quite match the photo as one name is missing for the front row. The face almost hidden at position 4 may be the problem. 3. 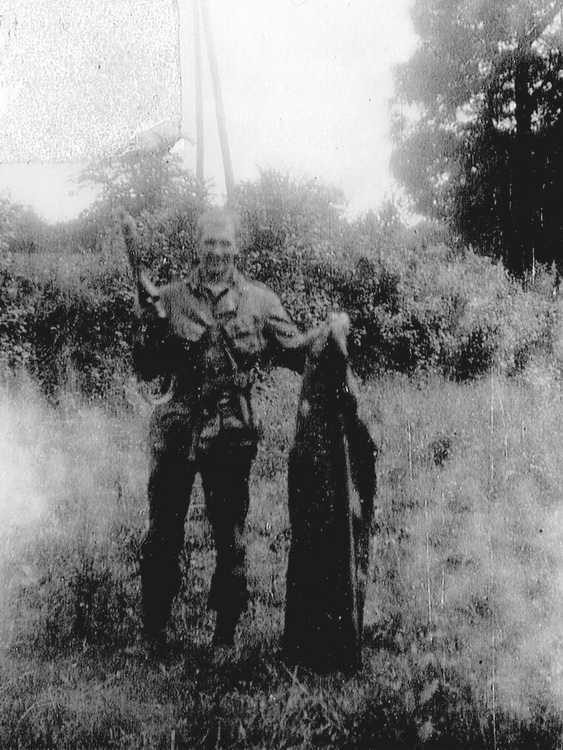 Louis Gillot was 20 years old when the American parachutists landed near his home on June 6, 1944. 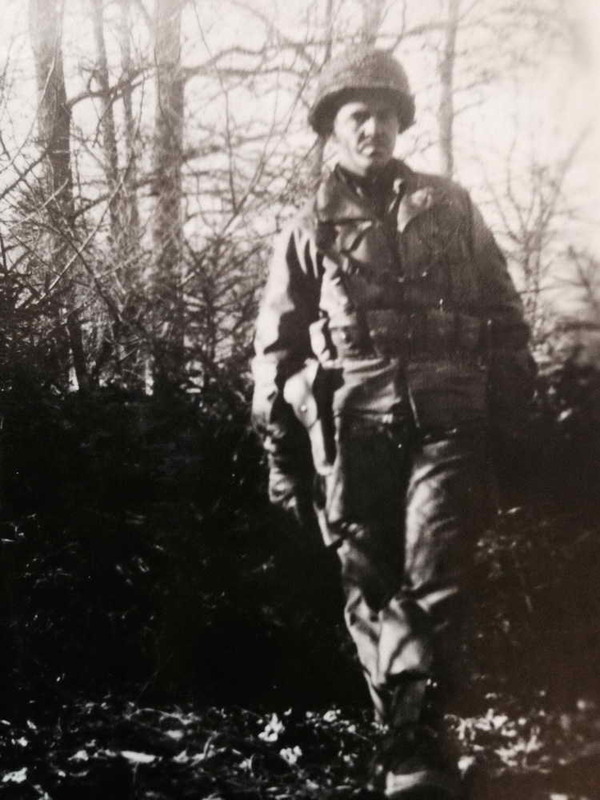 He served with the 508 during the Normandy campaign. (Co C, later Hq Hq) makes his way along a country lane. 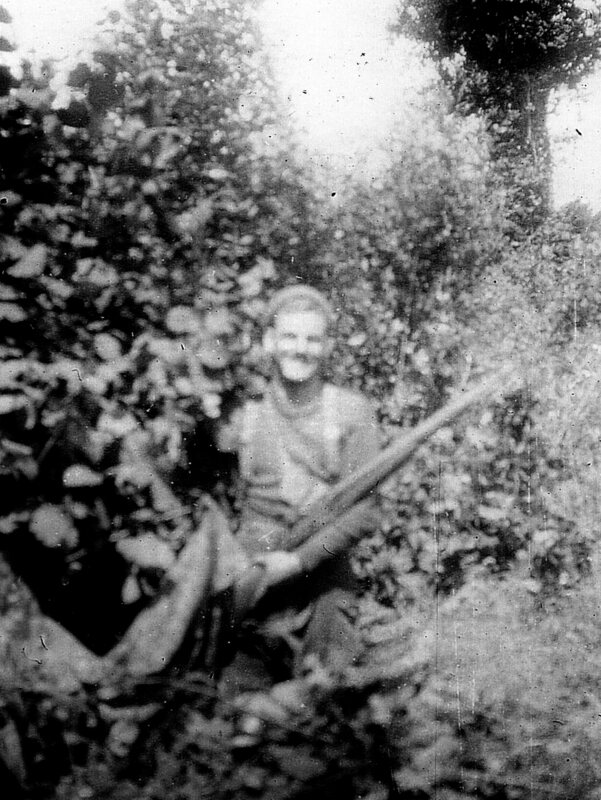 Note the .45 holstered on his hip.